I'm curious, what size screwdriver did you have to use for those tiny little keyboard screws? 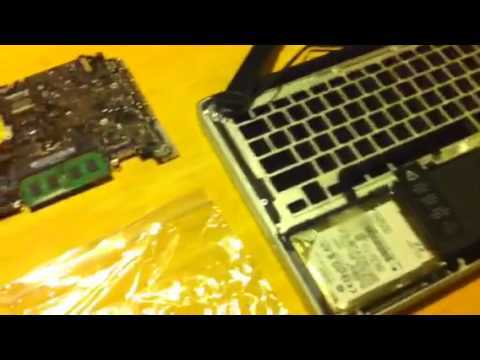 I need to replace my Aluminum Unibody Macbook's Keyboard, as I had some failed cleaning of the keyboard. I'm presuming the screws are the same since the replacement keyboard that I have looks very similar to the one in your video. I have one of these turquoise Moody screwdrivers in every size I use regularly, and I've found them to be the best fixed screwdrivers (i.e. non-replaceable heads) on the market. They also have a size 00 (slightly bigger) that would probably also work. It has any bit you could possibly need, is very inexpensive, and the highest quality. I tend to prefer a handful of the fixed Moody screwdrivers for everyday use (I use screwdrivers 6-8 hours a day, so swapping bits would get tiring), but for a comprehensive general purpose kit, nothing beats this, especially at the $25 price tag. It also has a lot of the Apple proprietary bits, like the tri-wing that you'll need to remove unibody batteries.